Osmosis and Diffusion Lab (focus on the scientific method). It's Egg-citing! 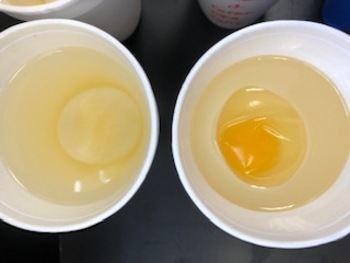 The lab explores osmosis with shell-less eggs. 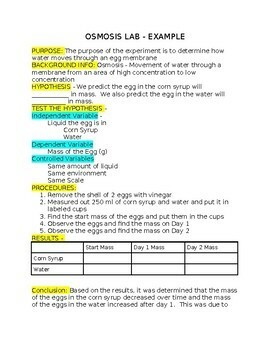 The kids will be amazed by the results of the eggs submerged in water and corn syrup. 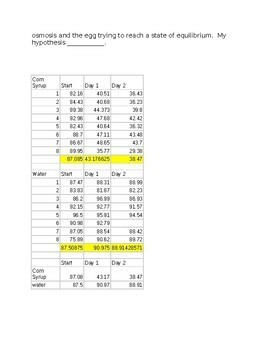 The lab is also a great way to explain the steps of the scientific method and practice gathering and graphing data. This lab is one of my very favorites!